The cosmetic and personal care industry is a highly competitive environment influenced by changing consumer preferences and industry trends. Advertising, promotion, merchandising and packaging all can impact consumer buying decisions in this growing $328 billion industry. Selecting a contract manufacturing and packaging partner that understands this space from regulatory compliance to market preferences for packaging is an important first step for your brand. There are thousands of cosmetic products on today’s retail shelves, with all of them falling into five distinct categories: skin care; hair care; color cosmetics such as lipstick and eye shadow; fragrances; and personal care products. Personal care products comprise approximately 15 percent of all cosmetic sales and come in various forms including sprays, wipes, tubes, bottles, single-use packettes and more recently, water-soluble pouches. Changing lifestyles, rising demand for skin and sun care products, and a shift toward natural and organic products are trends creating new opportunities for global brands in the cosmetics and personal care marketplace. The success of any new product launch depends upon a variety of factors from packaging to pricing. The ideal contract manufacturing and packaging partner is one that has expertise and proven go-to-market strategies across a wide range of product capabilities. 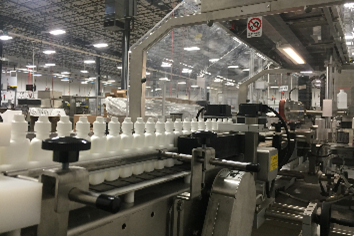 Multi-Pack Solutions™ contract manufactures and packages a variety of brand-name products for the personal care industry, including creams, lotions, gels and wipes in bottles, tubes and single-use packettes. With more than 30 years of industry experience, we have continually invested in new technology and equipment to help lead many of our customers to market with innovative new products and line extensions across multiple product formats. At Multi-Pack Solutions, we believe that contract packaging is a science that begins with a keen understanding of who will use the product and how it will be used. Regulatory requirements, documentation and processes all vary based on intended use. For example, wet wipes used for cleansing or moisturizing the skin, such as those for baby care, hand washing, makeup removal, or the application of deodorants are regulated as cosmetics. Presently, there are no Food and Drug Administration (FDA) registrations required for the manufacturing processes of cosmetics; however, the FDA does regulate cosmetic labeling and safety information. Conversely, wipes intended for a therapeutic purpose, such as killing germs on the skin or treating acne, diaper rash or other skin conditions, are Class I Medical Devices and must meet FDA approval for product safety and effectiveness before they go on the market. 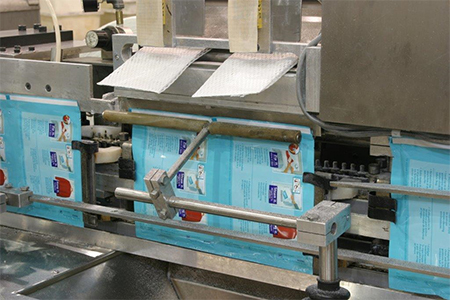 From wet wipes and single packs to tubes and bottles, Multi-Pack Solutions’ expertise, flexibility and creative solutions lead the contract packaging and manufacturing industry. As corporate R&D teams continue to shrink and virtual companies and start-ups emerge in the cosmetic and personal care space, we have developed proven step-by-step processes to give our customers checklists for success when launching new products. Choose Your Dispensing System Wisely. From flip cap to flat cap and ribbed to smooth, know the pros and cons of proper opening and dispensing systems. For example, is your product for an aging demographic desiring senior-friendly packaging that is easy to open and close? Does it require a child-resistant closure? Do you need a dosing device such as a nozzle, or will your product be dispensed by squeezing the tube? Figure 1: Tube filling, Greenville, SC. Design Around Your Needs. Are there any special tube design characteristics to be discussed? For example, do you want curvatures or patterns in the seal? Does your product require expiration dating and lot coding? If your product will be boxed rather than sitting singly on the shelf, secondary packaging design may be more important than the graphics on the tube. Know Your Timing Requirements. If you are like most brands, you are considering custom tube properties. Make sure that your contract packager has solid supply chain relationships and access to desired materials, tube sizes and types of caps for proper lead-time requirements. Know Product Flowability. The viscosity of your product and the tube in which it is housed must work together seamlessly for the best customer experience. Products that are too runny or too thick will not dispense properly. To Seal or Not to Seal. Depending upon your product and end-user requirements, your product may or may not require a seal. For example, an induction (or peel-off) seal will ensure that your product doesn’t leak while it is sitting on the shelf, particularly if yours is a product that is stored on its cap. Select a contract packager who understands seal implementation. Seek Customized Solutions. Make certain that your contract packaging partner can recommend a customized solution for your type of product, such as a custom pouch size and fill weight. Also look for a partner who understands retail price points, margin expectations and distribution channels. Figure 2: Sachet wipe production, Greenville, SC. Use Design of Experiment (DOE) Testing. To make certain that your final product is compatible with your materials, thorough testing is required to minimize risk and find the perfect solution. DOE testing includes stability testing and chemical and microbiology capabilities. On-site micro and chemistry labs at Multi-Pack Solutions’ Greenville, South Carolina facility allow timely testing and fast identification of any manufacturing or packaging challenges that could affect speed to market. Be Specific to the Application. Sachets or single packs can be used for lotions, gels, creams, swab-sticks and solid unit dose, and can be placed into folding cartons, POP displays or bulk-packed. This form factor lends itself to a retail sampling plan with point-of-sale options such as coupaks (coupon attached to the pouch) and neck-hangers. Demand Quality. Choose a sachet or single-pack partner who provides top-quality systems such as USP-purified water, fully traceable product materials, accelerated and long-term stability testing and package integrity studies. Another unique benefit offered by Multi-Pack Solutions is the USP-grade purified water system housed at its Greenville, South Carolina facility. This reverse osmosis system with ozonated loop offers greater disinfection effectiveness against bacteria when compared with chemical disinfectant treatments. What Will the Shape, Size and Dispensing System Be? Choose a contract packaging partner who understands the pros and cons of sprays, pumps, flip caps, open-orifice bottles, misters, fizzers and foamers. Consider how the end user will handle the product when customizing your bottle shape, size and materials. For example, will your product be dispensed by squeezing the bottle? If so, that determines the type of bottle material selected. Figure 3: Bottle filling, Greenville, SC. What is the Product’s Flowability? The viscosity of the product and bottle delivery method must work together for optimum dispensing of the bottle contents. As with tubed products, the viscosity of your product and the bottle in which it is housed must work together for optimum dispensing and the best customer experience. What is the Product’s Stability? It is important to know how your product stands up under a variety of environmental factors such as temperature, humidity and light. Its shelf life must be evaluated for expiration date validation. Stability is an important principle, especially for Medical Devices. Multi-Pack Solutions offers stability testing as a service to its customers. Product samples are pulled periodically and placed in a controlled environmental chamber of temperature and humidity to test whether they remain within the chemical and microbiological specifications. This ensures the product’s effectiveness and makes certain it is not harmful in any way. Should the Product Be Sealed? Depending upon the product, its regulatory requirements and the end user, your product may or may not require a seal. Your contract packager must understand the regulations and possible legalities of seal requirements. What Type of Labeling is Desired or Required? From front-and-back to wraparound and booklet labels, there are many ways to present your brand. Your contract packager should be able to make recommendations that best fit your product and its end user. Remember, try to make decisions on your label type, graphics and text as early in the manufacturing process as possible. Choose Fabric Wisely. To determine the type of fabric that is best suited for your wet wipe product, it is important to understand the characteristics of the various fabrics that are available. Nonwoven fabrics are developed to have specific properties, therefore fabric and the formula must be compatible and stable to maintain effectiveness. 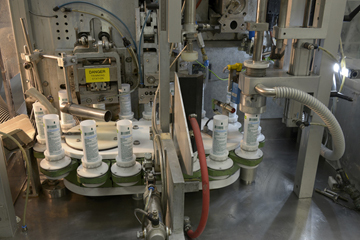 Figure 4: Lotion in sachet production, Greenville, SC. Know the FDA Requirements. Introduction of a wet wipe product requires knowledge of kill claims, efficacy studies and federal and state requirements for labeling. Multi-Pack Solutions is an FDA Medical Device & Drug Establishment registered and fully compliant at its Greenville, South Carolina sachet and Milwaukee, Wisconsin canister facilities. Avoid Any Preservative Surprises. Once a formula is added to a wipe fabric, it can serve as a food source or growth medium for various microorganisms; therefore, formulas must include the proper preservatives to kill microorganisms such as bacteria, mold or yeast that can grow on wipes. It is important to perform a Preservative Challenge Test on a formulation to determine if the preservative chosen for the product is compatible. Proper Labeling Is a Regulatory Requirement. Personal care wipes such as those for baby care, hand washing or makeup removal are regulated as cosmetic products and must be properly labeled in compliance with the Federal Food, Drug and Cosmetic (FD&C) Act and the Fair Packaging and Labeling (FP&L) Act. Labeling of personal care wipes must state prominently the name and address of the manufacturer, packer or distributor. The label also must state the net quantity of contents to enable consumers to make value comparisons. Select the Right Type of Label. Appearance, branding, readability, cost and production efficiency are considerations when choosing a label for your wet wipe product. Multi-Pack Solutions offers expertise in wet wipe canister and single-pack labeling. Canister labeling options include wrap labels and shrink sleeves, and individual-wipe options include various custom-printed film substrates in a wide range of sizes and styles. Start with Compatibility. Whether your product is a powder or liquid, film and Polyvinyl Alcohol (PVOH) compatibility is critical to unit dose water-soluble packaging stability and will require extensive testing. Figure 5: Water-soluble pouch liquid filling, Chicago, IL. Find the Perfect Viscosity. Water-soluble pouch products require a consistent density throughout the manufacturing process and the lifecycle of the product to ensure optimum flowability and fill weight. For example, liquid that is too thin can cause flashing and liquid that is too thick is difficult to dispense. Shape Affects Formulation. Are you looking for a square, rectangular or circular pouch, with one compartment or more? The shape of your water-soluble pouch is not only about aesthetics, it also can affect formulation. Look Beyond Primary Packaging. Choose a contract manufacturing and packaging partner that offers comprehensive secondary packaging options such as a stand-up pouch, a canister or a tube. 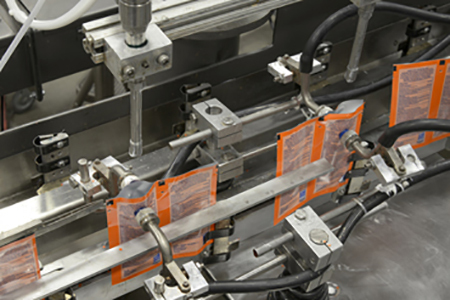 Your contract packager must understand moisture barriers on secondary packaging material to ensure that your water-soluble pouches are protected. Knowledge of Child-Resistant Safety Closure requirements also is important. Differentiate Your Brand. You want to stand out in the marketplace, so choose a packaging partner that can offer innovative ideas and customized solutions to get your product to market in the most expedient way possible.